Thiago Alves might have home-cage advantage tonight at UFC Fight Night 67, but the Gambling Gods don’t think that will help Alves much against Carlos Condit (pictured) in the show’s featured attraction. 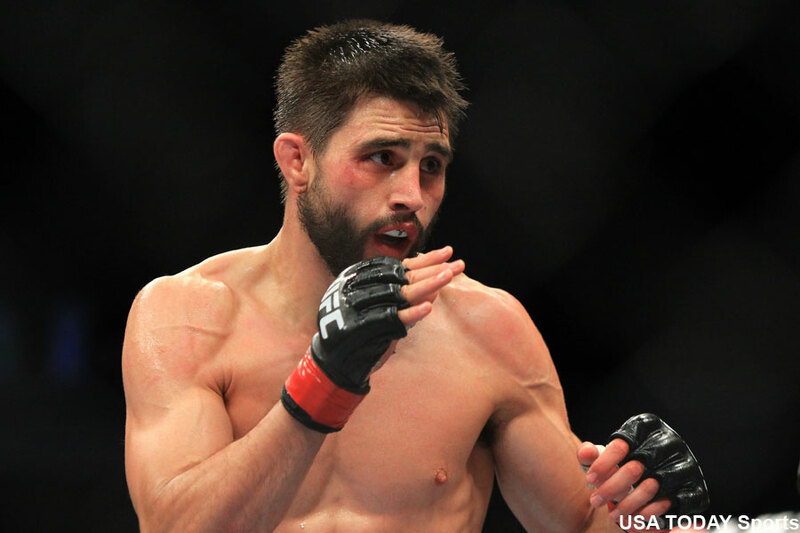 Despite entering hostile territory to face “Pitbull,” Condit is nearly a 3-1 odds-on favorite to beat the Brazilian. Alves, meanwhile, checks in as just over a 2-1 underdog. Goiania Arena in Goiania, Goias, Brazil hosts the festivities. Fox Sports 1 broadcasts the main card live in America starting at 10M ET/7PM PT.